Denmark has been home to quite a few archaeological finds in the past few months, including artifacts inspired by Roman-art and half-buried weapons like Excalibur. 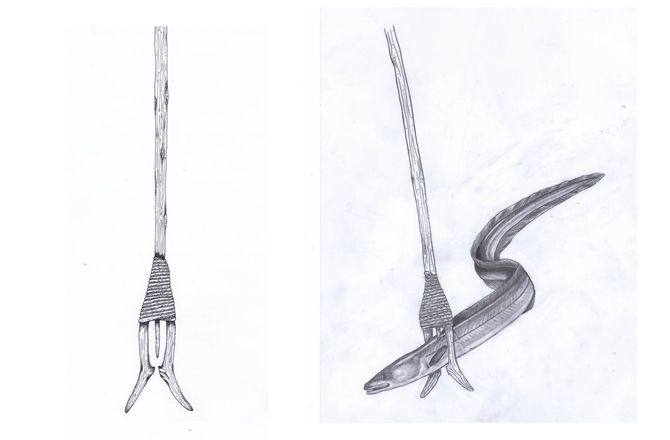 This time around, the period goes back even further to Stone Age, with the archaeological discovery of the so-called ‘leister’, a fragmented spear with three-prongs used specifically for hunting eels. 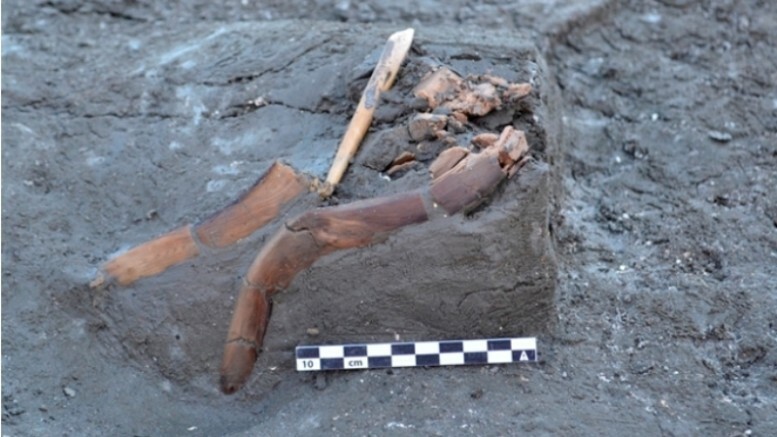 Interestingly, the discovery was made in the very same area where the aforementioned half-buried ax was found – in the link that would connect the Fehmarn island of Germany with the Lolland island of Denmark. But in this case, the spear was embedded in a sea-floor, thus alluding to the credible hypothesis that the weapon was lost when our ancestors were expertly hunting marine lifeforms, like Tom Hanks’ character in the movie Cast Away. Quite intriguingly, the presence of a primitive leister and its structural state of lateral prongs and bone points, belonged to the realm of conjecture, since historians had not been able to find an extant specimen of an entire weapon (the closest find they came across missed a centered point). But the new discovery with its relatively well preserved features pertains to the anticipated structure expected from a leister – with its correct positional state of prongs and bone point. It tells us, that in some cases at least, the leisters were equipped with a bone point much like present day eel leisters, which implies that the fishing of eel in that respect has not changed much. We have not yet obtained a radio carbon date of the leister. It could be middle Neolithic or late Neolithic alike and maybe even younger. From one of the other sites in the lagoon we have an individual leister prong, which is dated to the late Neolithic.